The first thing you will need to do is install Ruby on your system as it is required for compiling SCSS. Make sure to select the add Ruby to your PATH checkbox. Next you will need to run the following command from the command line prompt. If you have an existing project. 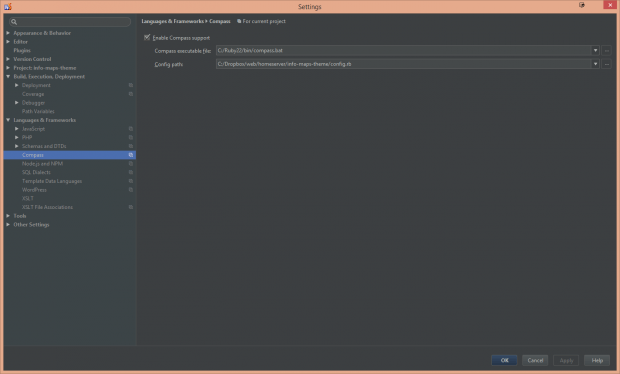 Open the terminal window in phpStorm or the command prompt. Navigate to the directory of your project and then run this command. The project will now be ready to go but there are a few more settings in phpStorm that need to be updated. 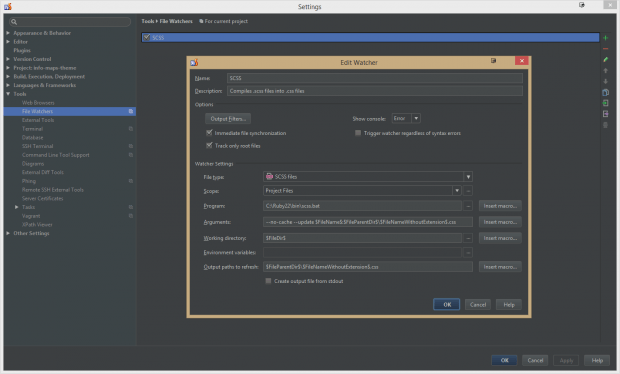 Next a file watcher needs to be setup in order to have phpStorm automatically compile the project into css when any of the scss files are updated. The settings below will create the output css file in the parent directory of the scss file using the same name as the scss file with the css extention.